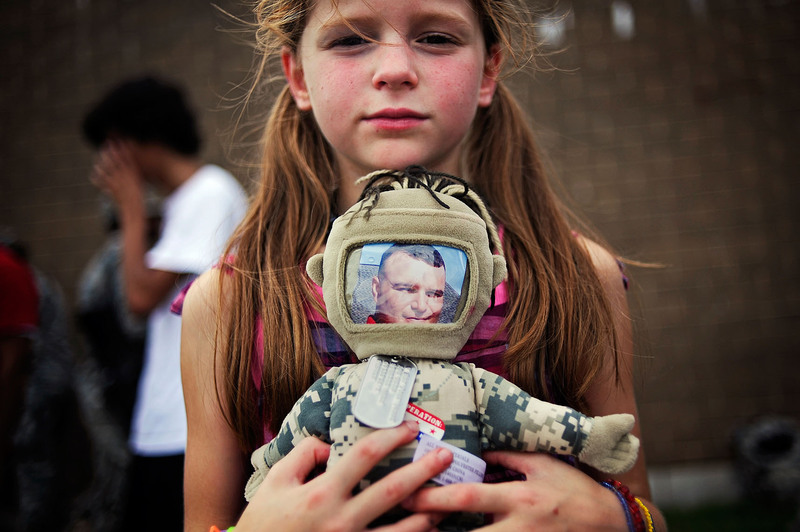 Caitlyn Burner holds a doll with her dad, Sgt. John Burner's picture as the head Saturday, Aug. 21 at Fort Gordon. Burner would later die on the mission from an illness.